The Financial Times reported today that lenders to Ferretti SpA, the superyacht builder restructuring its assets, have agreed to sell the company to China's Shandong Heavy Industry Group, a manufacturer of construction and agricultural machinery. 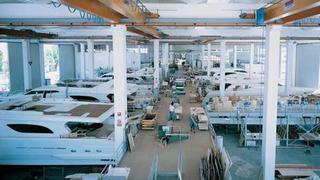 Shandong Heavy Industry will buy Ferretti after shareholders cede control of the company to lenders in order to cut debt to about €116 million ($150 million) from €685 million. The company will also receive additional funding of €180 million, according to the report. The acquisition will take place alongside a debt writedown by lenders led by Royal Bank of Scotland, Strategic Value Partners LLC and Oaktree Capital Management. The lenders will be offered an equity stake as part of the sale to Shandong. Although it will be under Chinese ownership, Ferretti will remain Italian in its production and style, and chairman Norberto Ferretti will continue to play a role in the company. The deal still has to be approved by an Italian court, which could take up to three months. Ferretti has declined to comment to Boat International at this time.